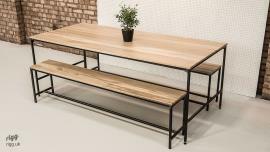 Wood and metal furniture made in the UK. Pop over to our Instagram page to see extra up-to-date extra pictures. We have a large variety of vintage industrial furniture designs - made in the UK - to appeal to those who love the aesthetic of old factory style equipment and furniture. Some of our work is also featured on our facebook page. Besides our vintage industrial dining tables of which we have many designs, we also sell seating such as our Vintage Industrial Stools. What is Vintage Industrial Furniture? As factories have closed over the past decades tables and other items of equipment have been disgarded we now see value in such pieces. It can often be hard to source original vintage industrial furniture so we design and make pieces in the same style, sometimes using reclaimed materials. 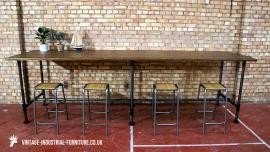 Our work is featured on the website, but we can also create bespoke vintage furniture for you. A popular statement piece is the pallet coffee table; practical, unusual and definitely a surprise for guests! 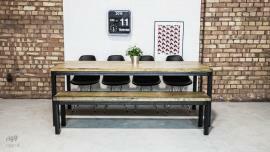 We offer several styles across a range of furniture types, including vintage industrial coffee tables and vintage industrial shelves. Some of our items have wheels or castors in metal or sometimes rubber. If you cannot find what you are looking for please feel free to contact us. Places to work can be very boring. Consider our Industrial Pipe Desk for a quirky addition to your home-office. 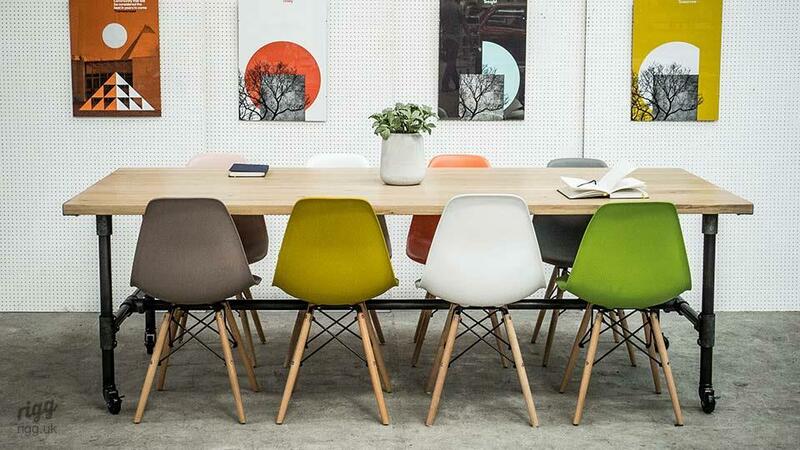 They are very strong and durable and we have supplied lots into commercial workspaces. 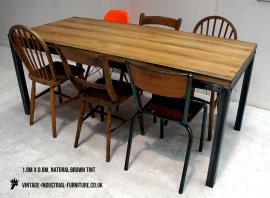 A prominent aspect of our range is our selection of Vintage Industrial Dining Tables. Some pieces are quite "brutal" in their design, such as our large Vintage Industrial Round Dining Table; others are more delicate such as our Hairpin Leg Dining Table. 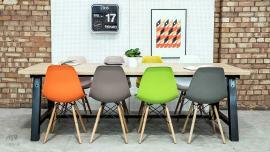 A range of colours and wood finishes is offered including dark and light oak. A great piece to look at if you want a touch of our aesthetic but with a crisp contemporary feel is our Vintage Industrial Oak Table. 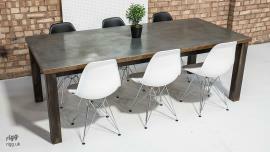 A large part of our output is Vintage Industrial Office Furniture, supplied in singles or large quantities.